Universal Lighting Technologies Electronic fluorescent ballast in white color, has an enhanced, indoor-encased design with durable construction. 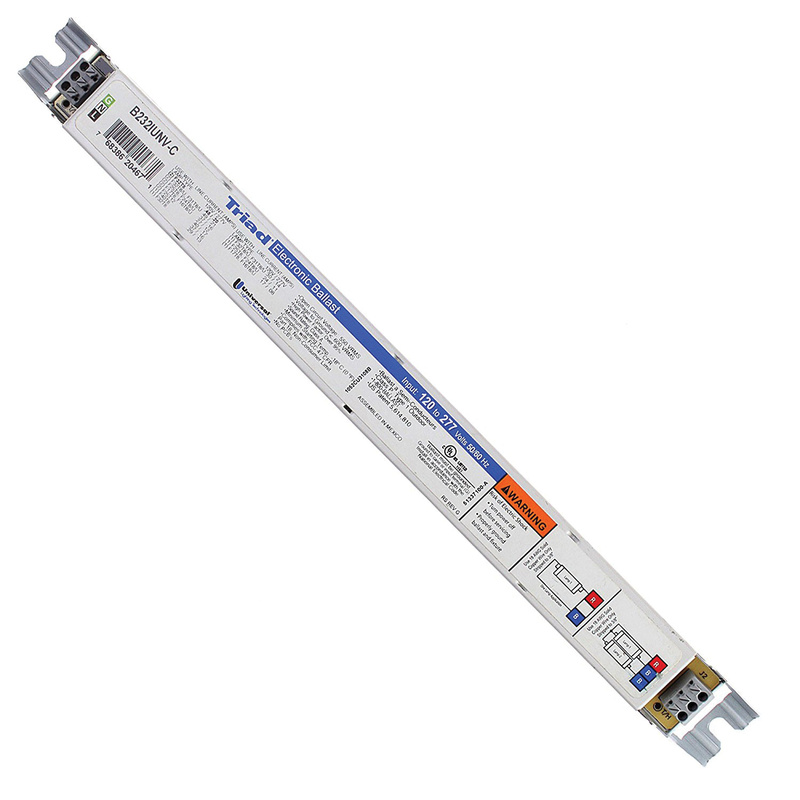 It features an ultra-reliable parallel lamp connection circuitry and instant start type. It features an active power factor correction and 1.7 crest factor. It is voltage rated at 120 to 277-Volts AC, power rated at 20 to 58-Watts, current rated at 0.11 to 0.48-Amp, temperature rated at 167 deg F and frequency rated at 50/60-Hz. The ballast supports one or two F32T8, F25T8, F17T8, F40T8 and F25T12 lamps. This thermally protected, 18-ft remote mount electronic fluorescent ballast meets UL, CSA, FCC Part 18 for EMI and RFI Non-consumer Limits and ANSI C82.11-1993/C62.41-1991 standards.